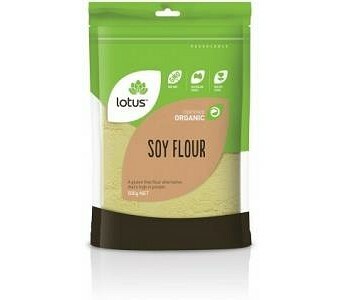 Lotus Organic Soy Flour is a gluten free flour alternative that's high in protein. Ingredients: Milled Organic Soy Beans. No Preservatives or Additives. Certified Organic by ACO.